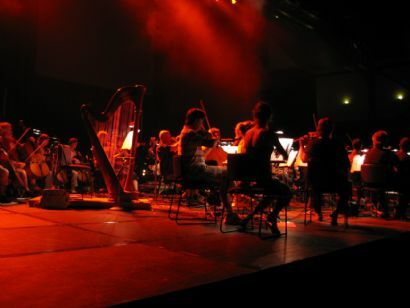 In February 2008, Salmonella Dub and the New Zealand Symphony Orchestra collaborated for the Feel The Seasons Change tour of New Zealand with shows performed in Auckland, Wellington, Christchurch and Nelson. This tour has now been immortalised through the release of a live album of the same name. The Feel The Seasons Change project combined Salmonella Dub’s contemporary music and production values with elements of te reo Maori, the ancient arts of taonga puoro (traditional Maori instruments) and the New Zealand Symphony Orchestra’s classical tradition. Material in the collaboration is largely drawn from Salmonella Dub’s most recent album Heal Me but also features classics from their extensive back catalogue, plus excerpts of tracks from Paddy Free and Richard Nunn's new album Karekare: Te Reo O Te Whenua and orchestral arrangements including new works composed by Tom Rainey.